The focus of the study was to develop a nation-wide forest cover database of Myanmar by assessing and predicting the forest cover changes in the period of 1950 to 2027. This study estimated the net changes in forests at regional level along with spatial patterns of forest fragmentation using multi-source data. The results indicate forest area representing as 77.1%, 65.3%, 54.1% and 50.6% of the total geographical area of Myanmar during 1950, 1975, 2005 and 2016 respectively. This study predicted the forest cover changes in Myanmar using Module for Land use change evaluation. The five spatial variables were used to determine the relationship between deforestation and explanatory variables. The predicted forest cover of Myanmar for 2027 shows 48.4% of total geographical area under forest. The model predicted a further decrease of 14,878 km2 of forest area in Myanmar between 2016 and 2027. The forest cover loss analysed using the classified maps of 1950 and 2016 indicated an overall loss of 34.4% of the forest cover. Ayeyarwady, Mandalay and Nayi Pyi Taw were found to be showing the highest rate of deforestation in the recent period of 2005–2016. This study has provided an insight for understanding of long-term deforestation trends of Myanmar. 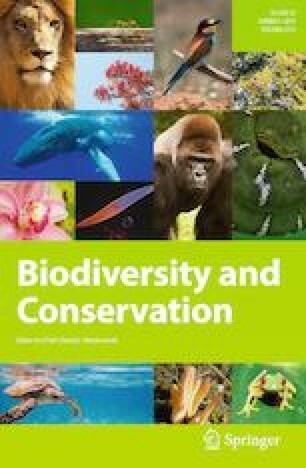 It offers a valuable inputs for effective management of forest resources and restoration programs as it delineates and forecast the spatial changes in forests from past to future. This study has been carried out as part of ISRO’s National Carbon Project. We thank ISRO-DOS Geosphere Biosphere Programme for financial support. We are thankful to Director, NRSC and Deputy Director, RSA, NRSC for suggestions and encouragement. We are grateful to U.S. Geological Survey and University of Texas for providing access to the Landsat data and topographical maps respectively.